A diver whose near miss with a great white shark became a viral video sensation, viewed more than 15 million times on Youtube, says the ocean’s apex predator is “beautiful”. Chan Ming was on a shark-watching excursion off the Mexican coast when the animal broke into the metal cage protecting him. Despite their fearsome reputation, sharks do not normally feed on humans, and have to be drawn in with bait. The shark seized the bait and crashed into the cage, breaking part of it. Unable to swim backwards, it carried on inside, where Chan was alone. The advertising executive and part-time diving instructor told AFP on Monday that he tried hard to stay calm, “because if I get panicked it will be very horrible in there”. “When the great white shark was breaking into the cage, the inside of its mouth was getting jammed in the cage, and at that moment I was thinking ‘Hey, don’t think about coming in here’,” he said. 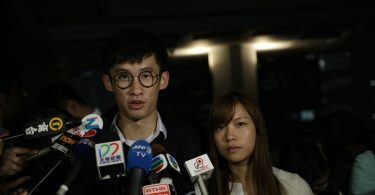 Chan Ming (left). Photo: Chan Ming, via Facebook. 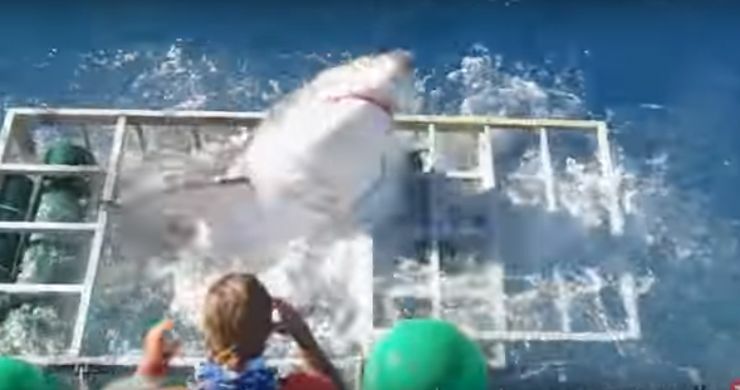 The video shows the shark apparently bleeding as it thrashes its way out through a gap on top of the cage, which was opened by a crew member. An agonising 20 seconds pass before Chan, who is from Hong Kong but lives in Shanghai, emerges safely. The harrowing incident did little to diminish Chan’s fondness for the great white and he went back into the water the next day. 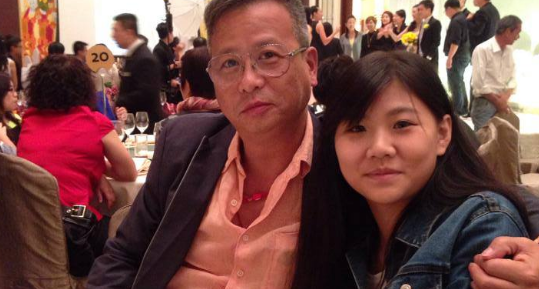 “You know in Chinese we say that ‘Where you fell down, (is) where you need to stand up’,” said the 51-year-old. In a company statement posted on Facebook, operator Solmar V Luxury Live-Aboard said the shark did not suffer any serious injuries. “Shark breaches of this magnitude are a one in a million occurrence,” it said. The company — whose priority is to offer “unique life experiences” — said its cages have been reinforced following the breach, and bait would be thrown further away from them in future.